For many who, like Taher, grew up in the ‘80s and ‘90s, video game soundtracks served as a first brush with music. Anyone who spent hours at arcades, or playing Nintendo, listened to an unending stream of 8-bit songs, all of them short, all of them designed to be looped eternally. Many of these chipset-generated tunes remain ingrained in their minds to this day — you probably know somebody who can hum the Super Mario Bros theme. But the creators of those songs rarely receive the attention that the ubiquity of their music warrants. 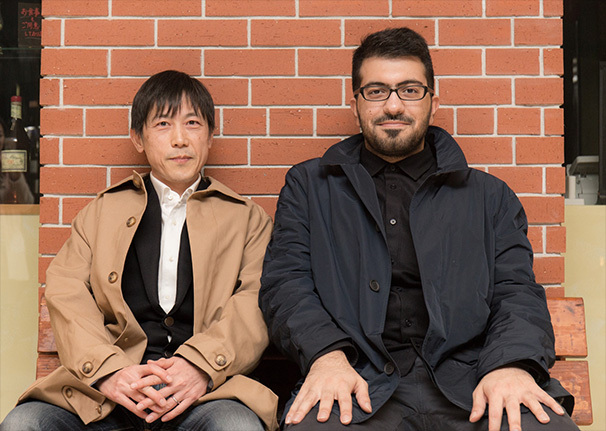 Taher remembers connecting with Keiji Yamagishi, who composed the soundtrack to Captain Tsubasa, along with the score to Ninja Gaiden and Tecmo Bowl, on Facebook. “I never thought I’d be talking to my favorite musician,” he says from his home in Kuwait. Yamagishi told him he stopped making music in the mid ‘90s, as the 8-bit style he preferred fell out of style. Yamagishi thought nobody cared about his work anymore. Recalling his love of Captain Tsubasa, Taher sought to find the composer he respected so much. Taher, who had already blogged and recorded podcasts about video games, was putting together a gaming-centric compilation album featuring a mix of chiptune artists and bands. He asked Keiji Yamagishi if he’d like to contribute a song. That track, a burbling 8-bit bouncer assisted by a fast-paced drum beat called “Memories Of T,” appeared on a compilation called World 1-2, a video-game-themed release Taher says was the genesis of Brave Wave. The sprawling collection came out in two installments, ultimately collected in one “complete collection,” and Taher admits he’s less affectionate about the “randomness” of it today. Still, it made back the money he invested in it and then some, while also helping him grow closer with mixing engineer Marco Guardia, a former trance producer now serving as Brave Wave’s mixing engineer, and Alexander Aniel. “Originally, I was supposed to translate one interview for Mohammed. Then, it became several interviews, and new albums and projects were being thought up,” Aniel says. 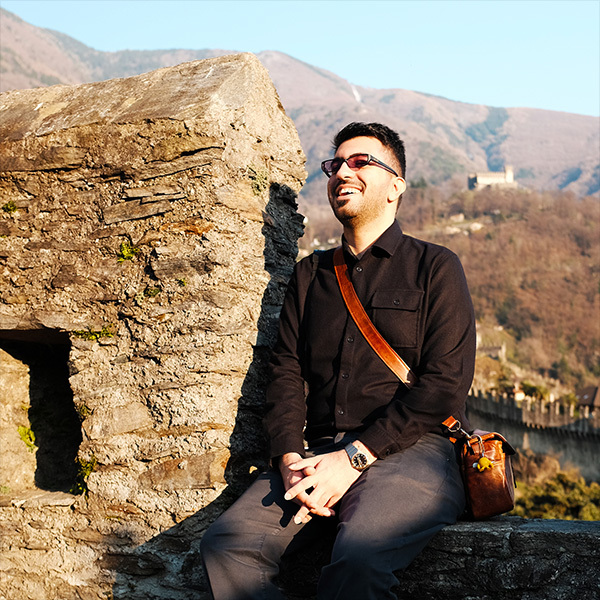 He moved to Tokyo in 2007 to work in the video game industry, and connected with Taher over Twitter. Initially helping out with translation — including Taher’s first Facebook message to Yamagishi — Aniel eventually started pushing for Brave Wave to broaden its horizons and become a proper company, which they did in 2014. Taher was also moving forward, thinking up bigger aspirations for his next compilation. He envisioned a set where Western and Japanese artists came together. The end result was In Flux, a set eschewing the gaming visuals of World 1-2. Familiar 8-bit numbers popped up, but it also veered into more surprising territory. 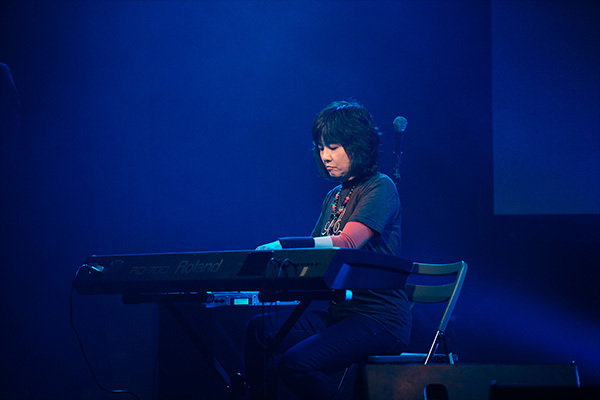 Manami Matsumae, who wrote music for the Mega Man series of games, worked with Evanescence bassist Tim McCord on a slow-burning piano number, while Silent Hill composer Akira Yamaoka surrounded Canadian singer Jim Guthrie’s voice with dramatic strings and guitar. “I love this idea of trying to do something different that might not appeal to a wide audience, like video game albums usually do,” Taher says, though he’s quick to acknowledge this decision reflected in the series. Unlike World 1-2, with a clear gaming theme and cover art featuring famous video game characters, In Flux cost Taher money, and showed him it wasn’t as easy to sell music as he thought. Despite the financial hit, 2015 saw the release of Yamagishi’s Retro-Active Pt. 1, an album that started life in 2012. “It’s basically the reason the label exists,” Taher says about the set, which finds Yamagishi bringing the chip-derived sounds he preferred when making video game soundtracks, and combining them with driving guitar melodies and contemporary electro-pop flourishes. Whereas he once was constricted by company demands, Retro-Active allowed Yamagishi to construct full-length songs. It proved successful. From there, Brave Wave ventured into new territory by launching a new sub-brand called the Generation Series, an imprint which remasters soundtracks from classic games, creating the “definitive” version. It’s a time-intensive process, requiring the team to hunt down hard-to-find arcade boards and hack into them to record their sounds. The first installment in the series was for the beloved fighting game Street Fighter II, announced by video game company Capcom at Comic Con last year. Beyond the Generation Series, Brave Wave continues to release original albums from video game composers. 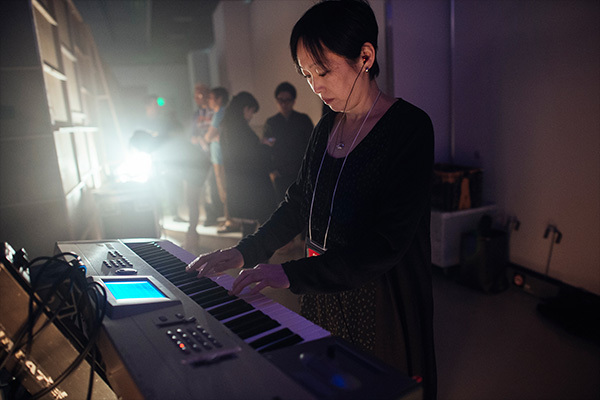 The label’s latest, Terra Magica, comes from Kobayashi, and finds her utilizing the same type of sweeping string arrangements and dramatic pacing found on her gaming soundtracks. “With Terra Magica, fans say ‘Wow, it’s like listening to a Panzer Dragoon soundtrack,’” Taher says. Central to Brave Wave, though, is allowing the artist to dictate what they want to do without worrying about what existing fans might think. Some, like Kobayashi, embrace their video game styles, but others opt for distance. “Masashi Kageyama is most known for the music to the game Gimmick! When we met and he decided he wanted to work with Brave Wave, I asked what he wanted to do for his solo album. He instantly said ‘everyone wants me to do Gimmick! and I don’t want to do that,” Taher says. Rather, Kageyama is exploring jazz, something Taher is happy about. “I don’t force a composer to pander to the audience.” Besides Kageyama’s forthcoming solo album, Brave Wave is also working on new albums from Takahiro Izutani (best known for working on the Metal Gear Solid series) and Matsumae. Whatever direction they go in, it will be fully determined by the artist themselves — just as Brave Wave wants it. This entry was written by Editorial, posted on July 19, 2016 at 6:57 am, filed under featured music and tagged Brave Wave, Label Profile, Mohammed Taher, Video Game Soundtracks. Bookmark the permalink. Follow any comments here with the RSS feed for this post. Post a comment or leave a trackback: Trackback URL.